The first courgette of the season… oh, how happy it can make you! Fresh, crisp and sweet: fried, raw, stuffed, trifolate, grilled, in a soup… When late July arrives the delightful light or dark green fruit becomes a nightmare. Forget to collect them for a couple of days and they will overgrow into huge hard squashes, collect them regularly and you will get courgette overflow. You can’t think of any more palatable way to eat them, you actually begin to hate them… “Next year I will plant just one.” “No, no courgettes next year, just a few tomato plants.” “Why did I even decide to have a kitchen garden?”. (Of course next year you will still plant too many courgettes and there you are again: courgette overflow!). Why not preserving them? Zucchini don’t freeze well, unless you grill them, they will turn into a mushy watery mass only good for making soups and creams. 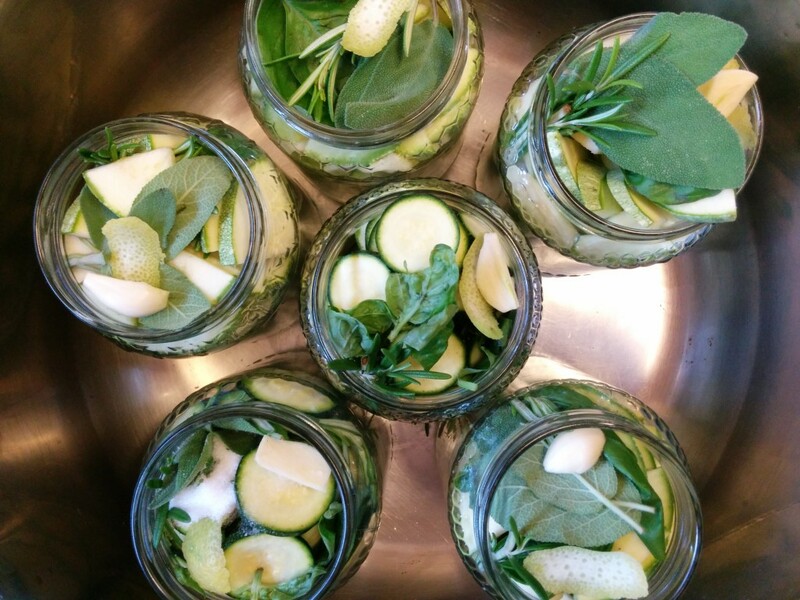 Pickling is the key! Put the herbs and salt in the jars and pack as many courgettes as you can. Add the hot brine, close the jars and immerse in a hot water bath (water must be hot already to avoid breaking the jars). Bring to a boil and let go for 20 minutes. Pick the jars out and let cool. 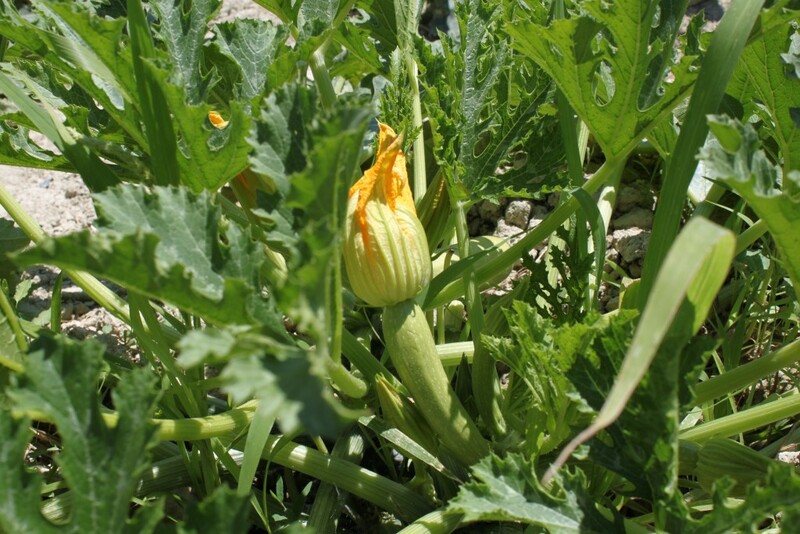 If you don’t have a kitchen garden come to Locanda della Valle Nuova to taste them! My 7 yr old son made these in school. We home-school and he had a giant zucchini to can. This was a very nice and easy recipe for him to do. I’m so glad that you and your son appreciated my recipe! Lovely to know that it was useful for your homeschooling! Let me know if he actually likes the outcome!